Why is 'engagement' still a thing? We’re not doing ourselves or the industry any favours using the word ‘engagement’ says Carly Yanco. Here’s why it shouldn’t be a thing. About 10 years ago some clever social media ‘pioneer’ realised this brave new world of marketing would need help justifying its existence. And so they introduced the wildly unspecific and mystical term – engagement – which quickly replaced traditional communications measures and reframed our understanding of ROI. As a result, instead of measuring effectiveness in terms of the impact on brand perception (which is well established and has at least been shown to have a correlation with sales impact) the industry rallied around this new proxy for understanding communications’ success. We conflated ‘likes’, ‘shares’ and ‘comments’ with brand affinity, ad recall and purchase intent. We reported their numbers proudly as if we’d found a secret sauce to marketing. We started saying things like ‘let’s develop a relationship with our consumers’. Not one consumer has ever thought about getting into a relationship with our brands. It’s never happened. Influencers have and that’s because they want a brand’s money. They want a business relationship, not a romance. Our ‘dedication’ to a relationship with consumers does not result in their dedication to our brand in return. The majority of people we’re trying to ignite a budding relationship with will happily buy another brand without even thinking about the fact that we retweeted them that one time. It really would be a sad case of unrequited love, except that it isn’t. We don’t love them either, we love their money and the whole thing is a farce. We are not engaged in a relationship with our consumers. The measure of our success should not be based on how generous someone’s thumb was that particular day. It should be about how open they (i.e. their brains) are to our communications and how much of them they take in. Plenty of experienced and revered industry professionals like Mark Ritson and Bob Hoffman have now debunked the term. Even Facebook has told us all to stop using it and its associated metrics in place of those we already had. And yet, client briefs still ask for it and case studies are still littered with it. With so much progress in marketing science (Binet and Field, Ehrenberg Bass Institute, etc. ), why is this still a thing? Maybe I’m wrong and we’ve actually all updated our thinking. Maybe by saying ‘engagement’ we now actually mean, ‘the consumer’s brain is actively laying down positive memories and associations about our brand’. If that’s the case, then let’s do away with the word because we already have more specific ways to describe and measure that. Metrics like ad recall, brand recall, message outtake, purchase intent aren’t perfect but they’re much closer to what’s important. I don’t think it is the case though. I think we’re still using it in the hope that seeking engagement will someday lead us to the marketing pot of gold – going viral. 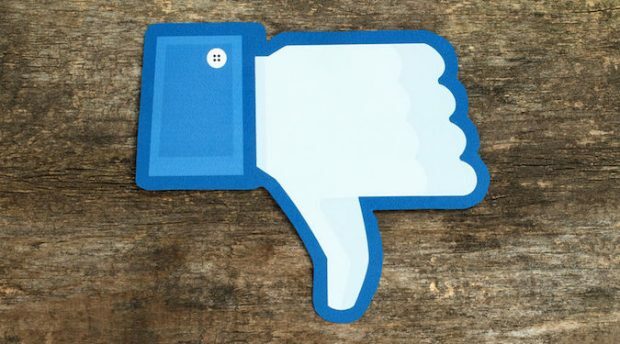 Every time we use it we set a doomed cycle in motion where communications are designed to achieve ‘likes’/virality rather than involve people’s minds in a brand or product message. Those communications are ineffective but we wouldn’t know it because 5,000 people liked it on Facebook and that’s more than last time so we’re #winning! We are all little marketing leprechauns trying to get to the pot of gold at the end of the rainbow and feeling validated when we stumble across a gold coin along the way. Engagement is a catch-all for the likes-and-stuff that happen when you put something interesting on Facebook, not for when communications work. Continuing to use the term this way gives credibility to a measure that has none. It falsely assures clients and colleagues that the communication was effective despite any real evidence that it has been. We aren’t doing ourselves or the industry any favours in saying the word ‘engagement.’ Ever. Its meaning is too nebulous to be helpful in developing or measuring communications. It really shouldn’t be a thing. 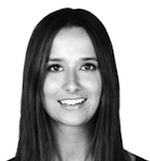 Carly Yanco is J Walter Thompson Sydney Planning Director.